mint and the mint mark would be helpful. Kondi, Badon, Dragondollar and others will help I'm sure. 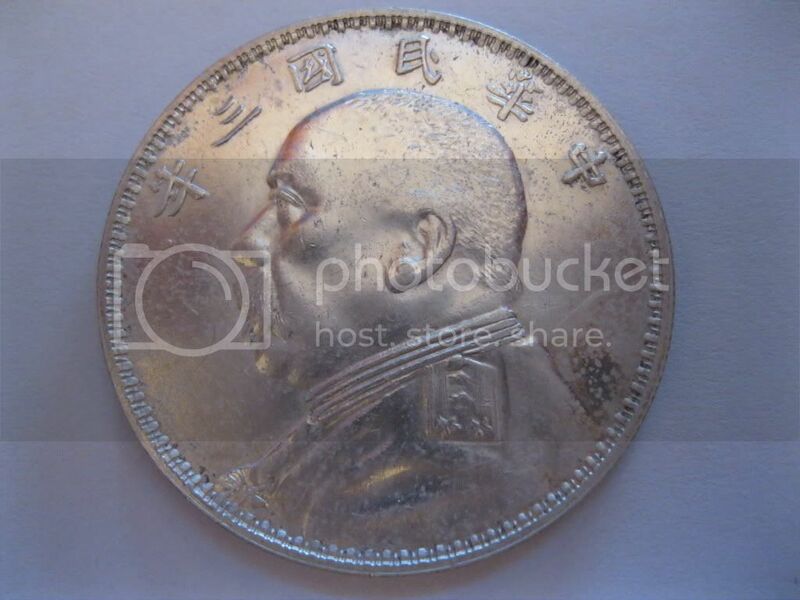 But your coin is not a normal O版 anyway, it is a O版三角圆 (with the triangle yuan). I did not knew of double O variation for the triangle yuan version, so this is quite interesting. This coin looks AU condition to me (was it polished? the obverse seems a tad too reflective, but that may just be the picture), so with this interesting variation I think it is a keeper. It is possible that it may have been polished...but it was not described as such by Baldwins. Does it still has luster? If it has a "cartwheel" effect when you move it under a light source, then it was not polished. If it is like a mirror, then you'll get a Details grade. However, if KONDi confirms this is a rare variety, you may consider keeping it nonetheless. I had a very low grade 辛丑 Kiangnan dollar with 5 dots (VF, with lot of chopmarks) and I sold it for like ￥2,000 RMB at the time. 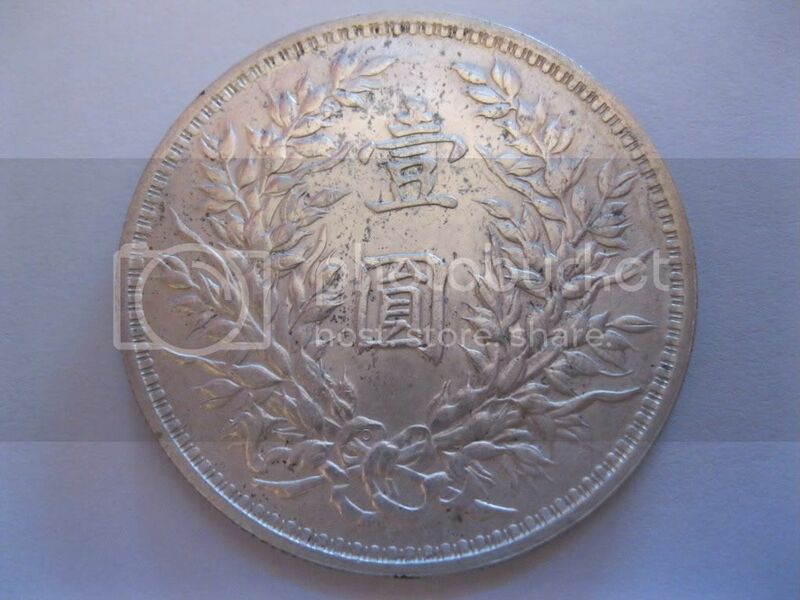 It seems the same coin would be worth at least ￥10,000 RMB now... because actually there is very few specimen left, and even less in good condition. I've only seen on proof pandas anyway. I do see some small sort of speckles like a sheen that it has picked up over time. Proof coins have mirrored finish, so they should not have the cartwheel effect. Only business strike coins should have it. If you cannot see luster on the surfaces, it is likely the coin has been polished then. I am coming with my hypothesis. Well first of all I agree with dragondollar. This is not normal YSK 1914 dollar with mint mark "O"
This one is double "O" variation for the triangle YSK 1914. As far as I have seen normal YSK 1914 dollar with double "O" I haven't seen yet triangle YSK 1914 with double "O". So your coin is indeed interesting! Double "O" here in China some coin dealers also called "8" variety. OK, now something about the surface. There are 2 explanations speckles which we can see on obverse and also reverse. I marked them in red circle on obverse and on reverse. 1st explanation is that this coin was cleaned in lemon acid and the person who was cleaning it didn't dry it properly so those speackles showed up when cleaning process was over. However after close look on photos I don't believe in this explanation. This coin was cleaned, NOT polished! If it would be polished it would have more scratches and this coin has a few only which from normal circulation process. Now...,I think it was cleaned in lemon acid or something else. Previous owner of this coin thought that this coin doesn't look good and after cleaning it he/she will make the condition looks better. But actually, he was a little bit wrong. Please take a look on obverse I marked some part of surface of this coin in red and blue circle. This is the only part of surface which is original! Those speackles which we can see nearly everywhere were used to a part of origianl patina of this coin. Please take a look on my own YSK 1920. I know this is not the same coin, but just to compare...Those speackles are part of original patina and such of patina on the surface of the coin creats after many years. So why previous owner want to clean this coin anyway? I think that the answer lies on the reverse. You see there are still some dark pits on reverse I marked on red color. They are close to first chinese character "yi" and second chinese character "yuan" on left side and also on leaves on right side. Those dark pits are traces of corrosion. So our previous owner probably thought that if he will use lemon acid or something else he will remove those dark pits and sell it for better money. But what I think that this coin shouldn't be clean at all. The original patina was tear off and this coin lost original beauty. Those are just my speculations, so I can't be sure. However this coin was cleaned indeed. I think this is rare variety. It has double "O" and on triangle YSK 1914. All double "O" which I have seen so far were on normal YSK 1914. So it is interesting coin. I think you should send it to NGC after all. I think it doesn't have original luster but AU details, surface cleaned it should get from NGC, maybe better---who knows:) Anyway good luck! Hope my analysis helped you a little bit. Good catch---interesting coin! PS. Next time please don't post links with images of your coin. 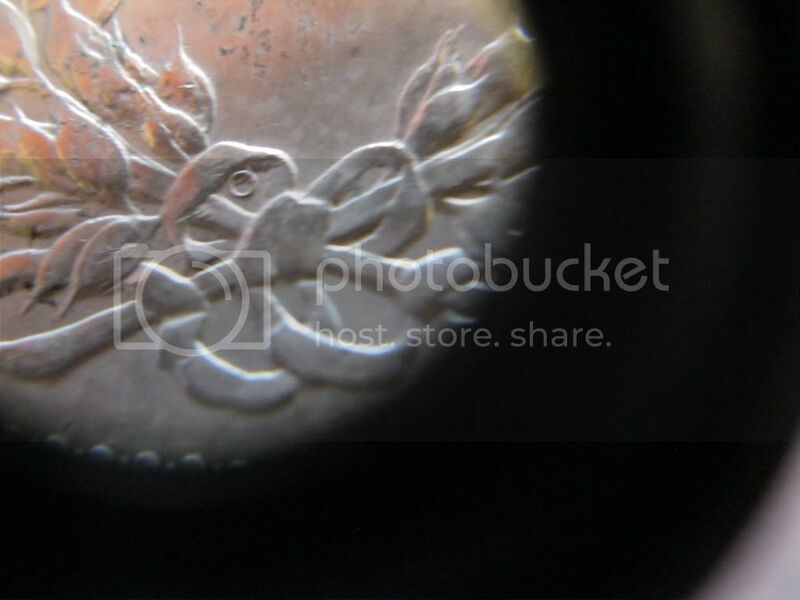 Better post images of your coin directly under your post or within your post. It was very hard for me to open those links here in China. necessarily be the right place to sell a rare variety like this? NGC seem unfamiliar with the variety, so didn't slab it. So it's gone on e-bay folks.